Lot # 10: 1950 Mickey Mantle, "Joplin Team in Uniform" Silver Gelatin DBL WT Photo! 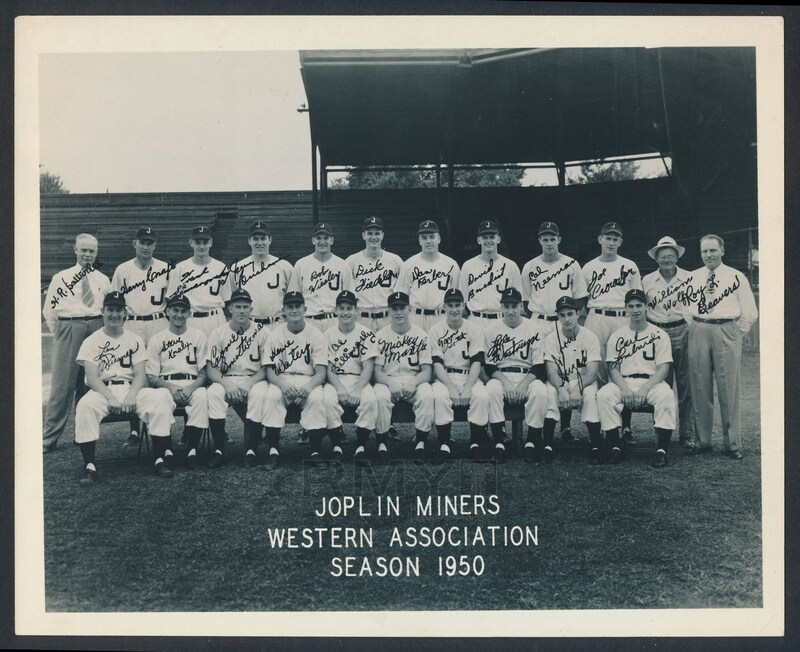 Large 1950 double weight photograph of the Joplin Miners team in uniform at the ballpark and posing for photographer Thomas Korn. Eighteen players and executives pose in a formal setting doing their best to look like major leaguers despite being members of a low level franchise in the Western League. A fantastic silver gelatin original that features among it's members a young man from Oklahoma trying to make it to the next level named Mickey Mantle. 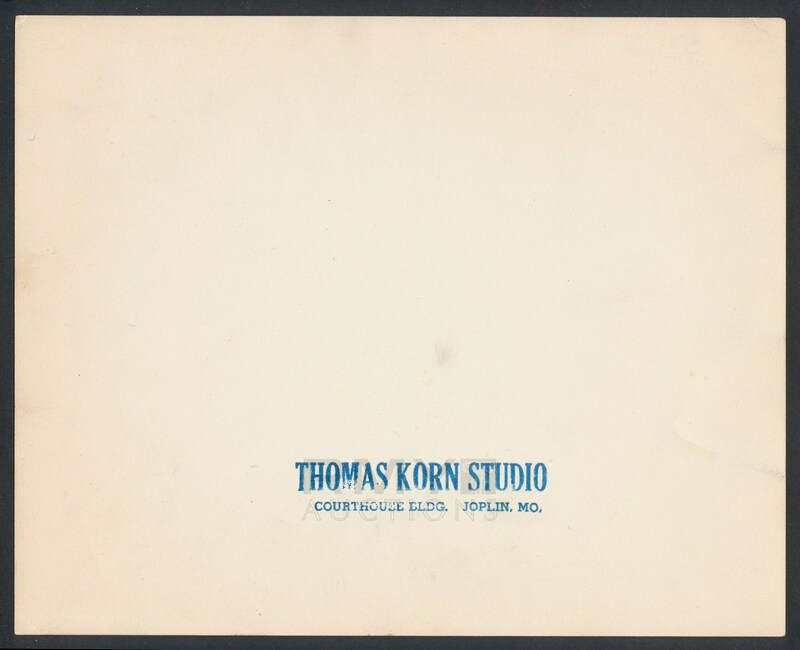 Sitting fifth from the right in the image, the condition is outstanding with a couple of light corner creases and it is stamped by the local Joplin photographer on the back. This is the earliest image of Mantle we have offered and it captures him young and full of life a full year before his rookie baseball card. This is an interesting item as on the one hand it was issued pre-stamped with signatures for sale, making it essentially a rookie baseball card of Mantle but on the other hand it was produced by the photographer making it a vintage 1 original piece of photography! One of the best, if not THE best image of Mantle we have ever offered!